You will need pound cake, either homemade (my favorite is a cream cheese pound cake from the book Sticky, Chewy, Messy, Gooey–that is the pound cake in the pictures) or store-bought, strawberries, white chocolate chips, and custard (or vanilla pudding). And some mason jars to layer the treats in. 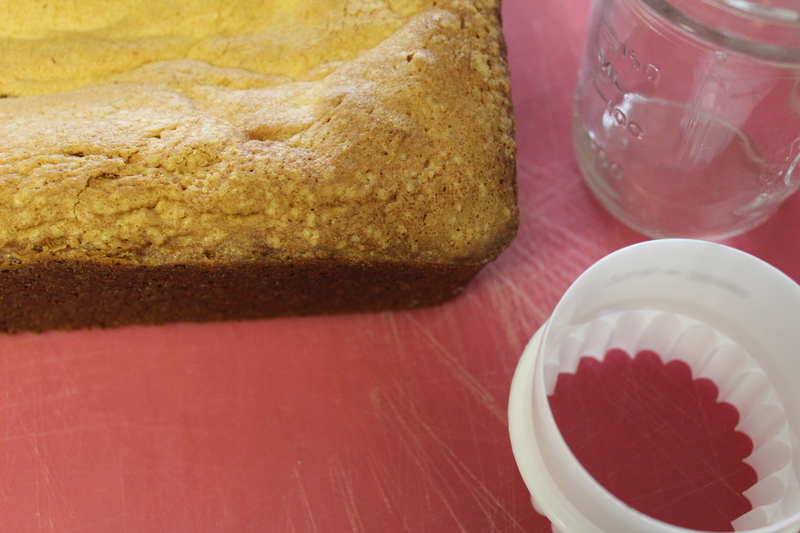 Take a round cutter and cut down into the pound cake to creat circles close to the circumference of the Mason jars. Cut as many out as you can. Once you press them out of the circle cutter, slice them two times, horizontally (so you have three circles of pound cake from the one cookie cutter). 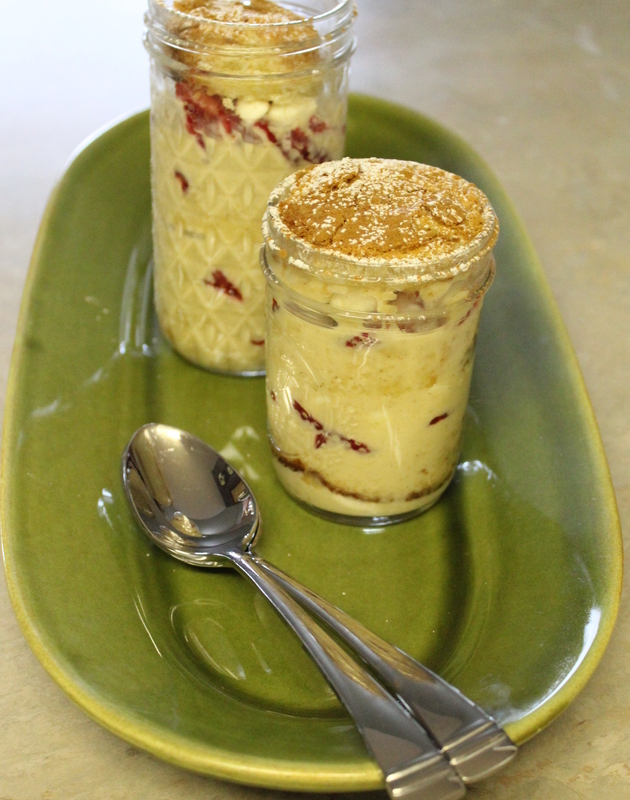 Have out the cold custard (or cold vanilla pudding), sliced strawberries, and white chocolate chips. 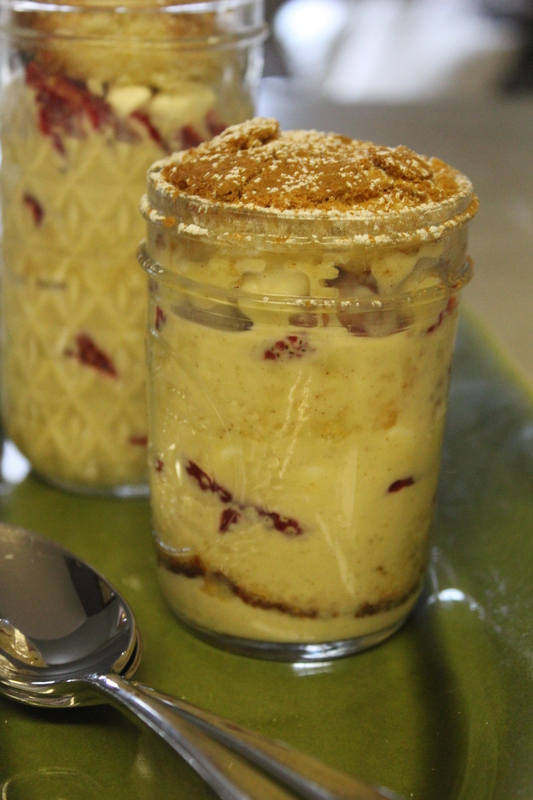 Put a slice of pound cake in the bottom of the jar, followed by some custard, then strawberries, and lastly the white chocolate chips. Repeat layers until you reach the top. Take a top circle of pound cake and place that on the very top, pressing down slightly, and sprinkle with a little powdered sugar and cinnamon. 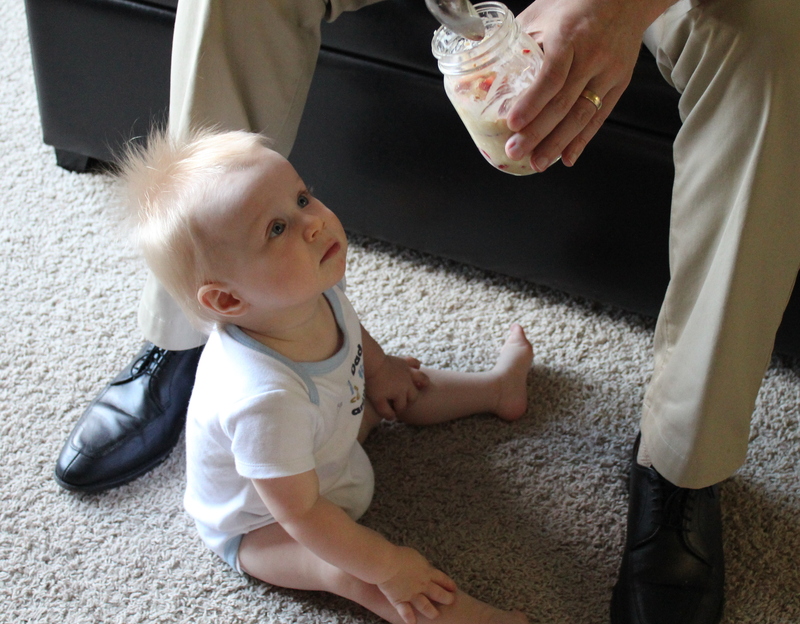 My son wanted some really bad, but my husband didn’t want to share. (I don’t blame him!) Besides, babies shouldn’t eat that much sugar. We gave him a strawberry instead. 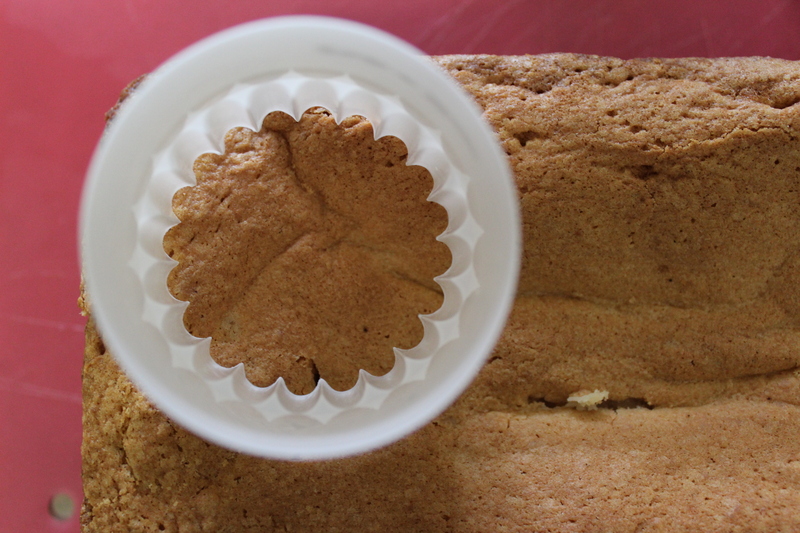 Using a circular pastry or cookie cutter, cut down into the pound cake, making as many circles as you can. (Make sure the cutter is close to the size of the base of your jar.) Cutting horizontally, slice three even circles for each one circle cut out with the cutter. 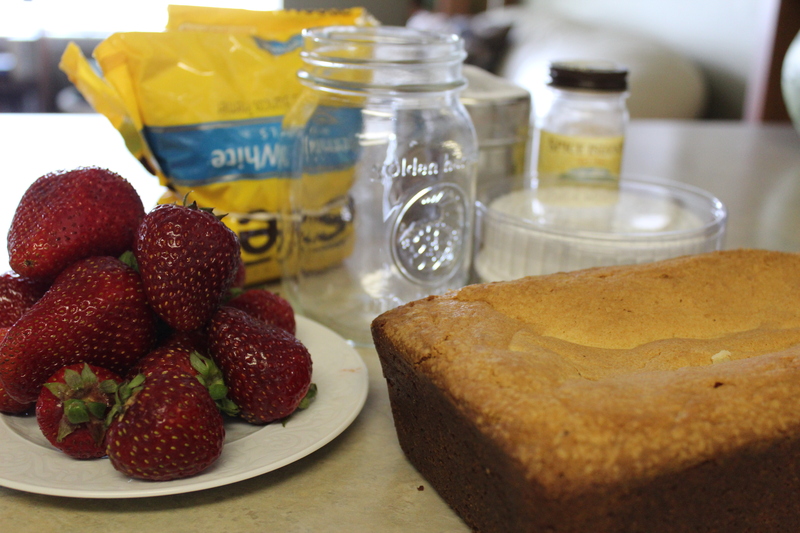 Layer the jars as follows: pound cake, custard, strawberries, and white chocolate. Layer until you get to the top of the jar. Place a circular top on the very top of the jar (a circle that is a little more dome-shaped on top). Dust with powdered sugar and cinnamon. Serve right away, or store in the fridge, covered with plastic wrap, until ready to serve. Love the picture of Matthew!! !